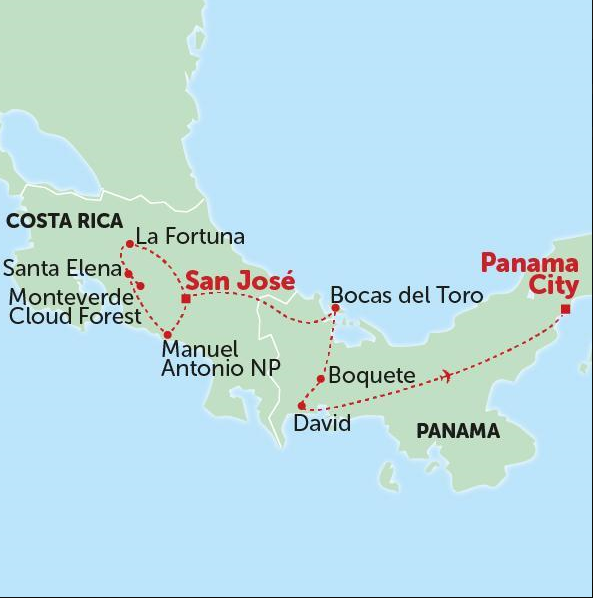 We travel from the Central Valley to the Pacific coast, through very lush green countryside to the small village of Manuel Antonio, where we will visit the Manuel Antonio National Park, one of the most popular parks in the country. This celebrated park is blessed with beautiful lagoons, palm fringed beaches, a vast array of animals and lush green forests. Some of the many creatures that call Manuel Antonio National Park home include sloths, pelicans, white-faced monkeys, anteaters and huge iguanas. It is also famous for its beaches – keep a sharp eye on your belongings, as the monkeys and raccoons are seasoned thieves! 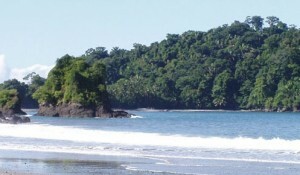 Manuel Antonio National Park Catamaran Tour – from US$75 • Zip Coaster – US$12 • Enjoy the beach – free! We travel to the old town of Quepos, once a very important port for the exportation of bananas. We then ascend a steep and bumpy mountain road that offers great views over lush green hills that flatten to meet the Pacific Ocean. We reach the small town of Santa Elena, nestled up in the clouds and established by American Quakers in the 1950’s. From here we visit Monteverde Cloud Forest Reserve in search of the mysterious endangered Quetzal, a very rare and timid bird with incredibly beautiful and unique plumage. There are several paths to explore in this privately owned reserve, one of which takes you to the continental divide. On a clear day both the Atlantic and Pacific Oceans can be seen! We’ll also stop at the Hummingbird Gallery where you can grab a drink and a slice of cake. Here you can watch dozens of these energetic birds buzz around sipping on nectar. The area around Santa Elena is famous for its ziplines and hosts the longest zip line in the world. 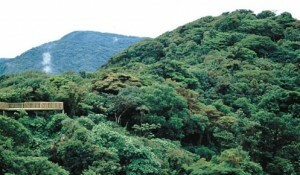 Here you’ll have the option to go flying over the cloud forest on a series of cables strung out between the giant trees. For the less courageous, you may opt for a sky walk along a series of suspension bridges above the forest canopy. Along with the lovely horse treks, nature-spotting twilight walks, visits to coffee and dairy farms, you may find it hard to choose between all of the exciting excursions! 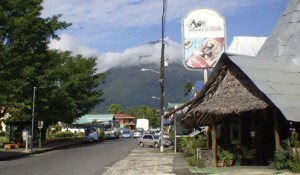 The main attraction in La Fortuna is the nearby Arenal Volcano, which was constantly erupting between 1968 and 2010. 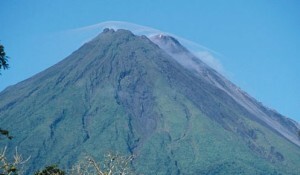 Although not erupting anymore, the occasional puff of steam can be seen. After settling into our hotel you’ll have time for a leisurely lunch and to explore the town. You can visit the luxuriant local hot springs for a relaxing dip. Leaving Costa Rica we travel by bus to Panama. 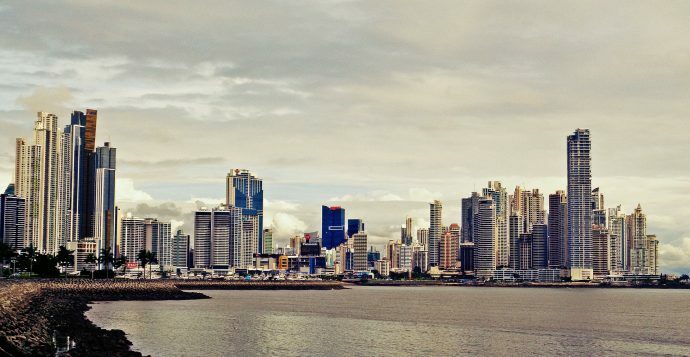 We are required to pay a departure tax of US$9 and on arrival in Panama, an entrance fee of US$4. We take the boat to tranquil Bocas del Toro with plenty of options for water sports. The islands of the Bocas del Toro archipelago offer the visitor a great diversity of attractions and natural environments; luxurious rain forests with an abundance of fauna and flora. These sunny islands have beaches, coral reefs & crystal clear waters that compete with the Caribbean’s best. You have two days to enjoy Bocas del Toro at your leisure. There are options for diving, snorkelling and kayaking expeditions, as well as bike rentals and boat trips to the nearby Mangrove Forest. There are plenty of other optional excursions on offer; in fact Boquete is already building up quite a reputation as an ‚adrenalin town‘ with world class rafting facilities, mountain biking, rock climbing and rappelling at nearby Los Ladrillos in Bajo Mono. Diese Tour startet mehrmals im Monat und beinhaltet 13 Übernachtungen in Hotels / Gästehäusern.